WordGo is a publisher of books, booklets, articles and ephemera in the genre of local history. 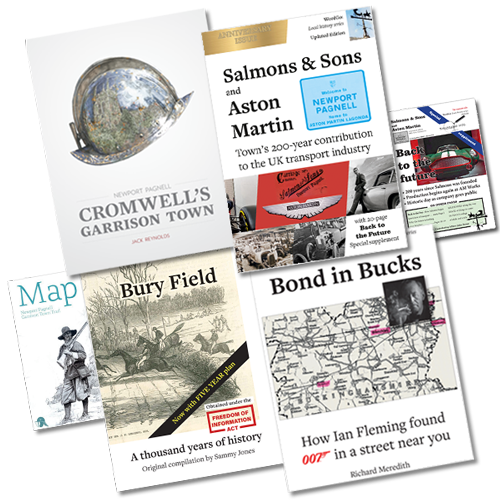 Our ‘patch’ is in and around the northern Home Counties and south Midlands where the strategic axis between London and Birmingham and Oxford and Cambridge has delivered a rich store of historical interest for a millennium and more. As a specialist imprint of the well-established Mercury Books publishing house, WordGo has access to editing, marketing and distribution functions, but since we believe that top-quality writing is the key to every good book we are always on the look-out for promising new authors with interesting propositions. This site, which features our not-for-profit local history imprint WordGo, showcases some of our current titles from slim booklets on a particular topic to fully-illustrated works of wider interest. And we are hungry for more! There are a number of topics and subjects that we think will make a good book, of course, but we are always looking to extend our range and if you think you have a great Proposition in mind then we would be more-than-happy to receive your Proposal for consideration. We seek authors capable of melding sound research to flair, accuracy and good story-telling in the field of historical non-fiction and we are glad to talk concepts and timescales as well as £s advances, earn-out and royalties (or any combination) for the right person. Think you’re up for the challenge? Then get in touch! ** max. 2 x A4 pages with a brief bio and a SAE please. Short film from the BBC archive showing an interview with the famous children’s writer Roald Dahl.